As the brewing financial and macroeconomic troubles take the sheen out of some asset classes, online peer-to-peer (P2P) lending is becoming an attractive option for high-risk-high-return investors. Disillusionment with mutual funds after the crisis in non-banking finance companies (NBFC), near-death of cryptocurrency market and diminishing returns from other asset classes have seen registrations on P2P lending platforms – loan aggregators – jump severalfold. The other factor responsible for their growth in the recent months is the formalisation of the industry with the announcement of regulations by the Reserve Bank of India (RBI) and issuance of licences to P2P players. Rajat Gandhi, co-founder and CEO of Faircent, one of the biggest and the oldest P2P platforms in the country, told DNA Money that lender registrations have climbed 10 times since they have been issued the licence, i.e, from 1,000 a month to 10,000 per month over the last six months. “Recently, we have seen huge interest from lenders. People are talking about mutual funds and stock markets not doing so well. Real estate is also in doldrums over the last two-three years. Mutual funds (MFs) had a lot of exposure in NBFCs, especially debt. Government data shows that a lot money is being pulled out, especially from the debt funds. These investors are trying to see where else they can put their money. People who are aware of P2P lending have started evaluating us. So we are getting a lot of interest from people who are looking at alternative investment options,” said Gandhi. Faircent, which had launched its first product around three years back, counts JM Financial and Aarin Capital among its backers. Bhavin Patel, co-founder and CEO, LenDenClub, concurs. He said those who were investing in MFs and other such traditional asset classes were now finding P2P platforms more “favourable”, adding that lenders on his platform were earning an average default-adjusted annual return of 20% on their loan portfolio. “Majority of investment instruments are cyclical whereas fixed income instruments are always on linear path and give a stable return over a period of time. P2P lending is one of those linear instruments. If you look at last one-and-a-half-year, returns across certain asset classes – stocks, MF, gold or real estate – you will see they have given returns between 5% and 12%. And so, if P2P is giving 18-20%, it can be considered a good option compared to others,” he said. 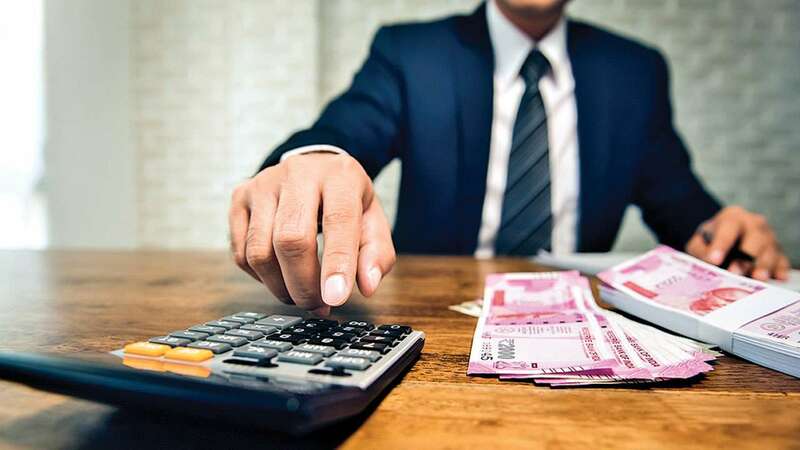 Dhiren Makhija, co-founder of Cashkumar, which is focused on lending to the salaried class borrowers, said after P2P platforms were issued licences, they have become more aggressive in pushing their products as they can now have easy access to banking bureau data on borrowers. “Most of us have been given licence around June, and with the license coming into the picture, there is a flexibility in reporting back to the bureau and also quicker access of data from it. This implies that we are in a position to make a much more informed decision about a borrower, and hence, we have also started getting aggressive,” he said. Cashkumar’s monthly disbursals have shot up three times from 100 in June to 300 now. This, Makhija said, translated into a loan book of Rs 1.3 crore to Rs 1.5 crore in October from Rs 60-65 lakh in June. He said average interest rate on his platform was 1.5% to 2.5% per month. On an annualised basis, it came to around 18-30%. Cashkumar levies a charge or a fee of 4% on the loan disbursed and on successful collection of equated monthly installments from lenders. Faircent levies a registration fee of Rs 1,000 to its lenders and a charge of 1% on the amount lent; borrowers, depending on the risk profile, paid 2-5% charge. On an average, it charged 3-3.5% fee on loan disbursed to borrowers. Though P2P start-ups are seeing a spurt, the regulatory constraint of Rs 10 lakh cap on the amount lenders can infuse in these platforms is slowing them down. “It definitely is a constraint. I would be lying if I say no. We could have acquired more lenders if that regulatory limit was not there. We’ve made a representation to the RBI as an association (lobby body), asking them whether they could do something about it. We hope something concrete comes out of it,” said Makhija of Cashkumar. He said allowing financial institutions (FIs) and NBFCs to lend through P2P portals will also give a big push to the new online credit services industry. “There are two more critical things that will play a role in our growth. One is to allow FIs to lend via P2P without a cap. If you see how things have shaped out in the West or China, the FIs have fuelled the growth of P2P. They have a better and bigger appetite for our credit products. That is something that the RBI has to agree to. We have spoken to NBFCs and they say Rs10 lakh loan portfolio is not even worth their time to track,” said Makhija.